The successor to the BlackBerry KEYone is coming soon, if reports are to be believed. The device will be powered by a Snapdragon 660 and will feature dual rear cameras and, of course, a physical keyboard. The Blackberry KEYone was released about a year ago. The device filled a rather unique niche—that of devices with a physical keyboard, as it was one of the few devices released in 2017 to feature one. The company is set to launch the successor to the KEYone anytime now, and it will be called the KEY2. The source of the information is said to be a Weibo ITK with the handle @TimEason. 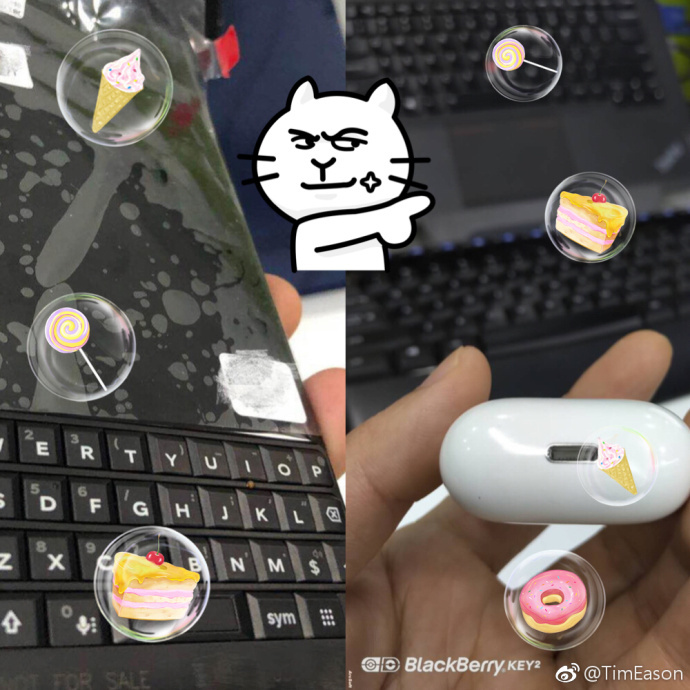 The user announced that the device would be named the KEY2, and provided images showing the device’s keyboard. Going by the source report here, the KEY2 will have all its physical buttons on one side, unlike the KEYone. The KEY2 is expected to feature a 4.5-inch 1620x1080 display, a Snapdragon 660, 6 GB of RAM, 64 GB of storage, and a dual rear camera setup (12 MP + 8 MP) with dual-tone LED flash, and a 3360 mAh battery. The device is expected to run on Android 8.1 Oreo out of the box. Speaking of which, the Blackberry KEYone is yet to receive anything resembling an Oreo update. The company’s track record with updates is rather shambolic considering how much security and privacy is pitched as a selling point. The Blackberry Priv, for example, only received one major update during its lifetime.